Like it or not, weeds are a fact of life when it comes to our lawns, and possibly the number one reason why companies like ours exist. They can be incredibly hearty and may employ several methods of self -preservation and procreation. Some varieties produce thousands of seeds per year, while others develop extensive underground root systems, called rhizomes, that allow the plant to survive underground even when the plant above ground is being stressed. In some cases, stress can cause these root systems to expand as a means of survival. In addition, the seeds of many varieties have the ability to remain dormant in the soil for several years until favorable conditions cause them to sprout. A weed is basically described as a plant that is growing somewhere that we don’t want it to grow. Consequently, what one person might define as a weed might not meet their neighbor’s definition. If you’re particular about your lawn and have a neighbor who allows Dandelions to flourish, you know what I’m talking about! They can have some positives though. 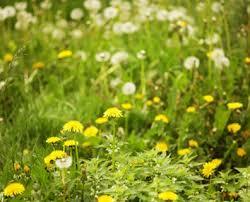 In some areas weeds help to stabilize the soil and provide organic material to it. Weeds can also be an important source of nutrition, and even shelter sometimes, to wildlife. Heck, in certain parts of the world, plants that we try to eradicate in our own lawns are cultivated as crops. 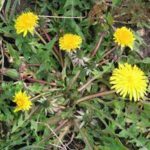 I’ve personally heard several stories of people using Dandelions in salads and to brew teas! To each his own I guess. 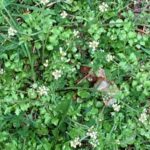 There are literally hundreds of types of weeds, but we’re going to focus here primarily on weeds that we encounter in early spring. Like our lawns, or any other organism that lives in the soil, weeds react to temperature changes. As we begin to thaw out, signals begin to be sent out. 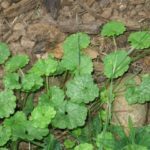 Each plant has a different point at which it activates, and the way that we handle weeds that sprout now may differ from the way we treat weeds that emerge later in the year. As always, you’re an important component when it comes to the success of your lawn’s overall health, so we’ll talk about your role as well. 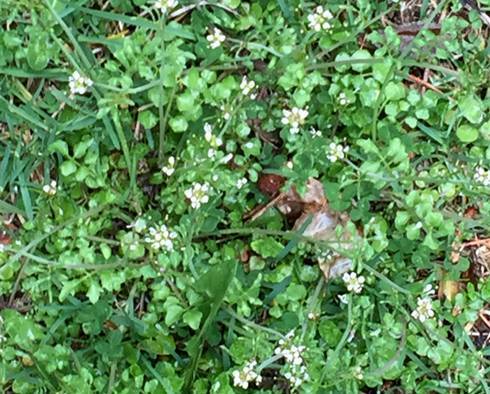 Chickweed is probably one of the most common early spring weeds that we encounter. It is a cool-weather annual that generally can be controlled effectively without the use of herbicides. Cultural practices such as proper mowing and watering can be an effective means of controlling this weed. As always, the best way to control weeds is with a healthy lawn. 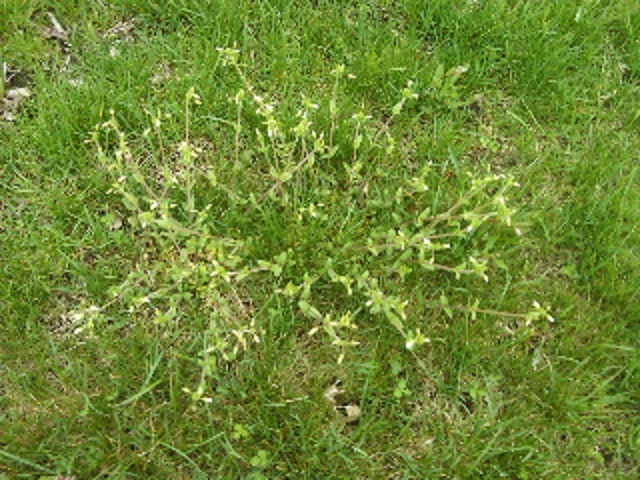 Mowing helps to stress out this weed as it succumbs to warmer temperatures. 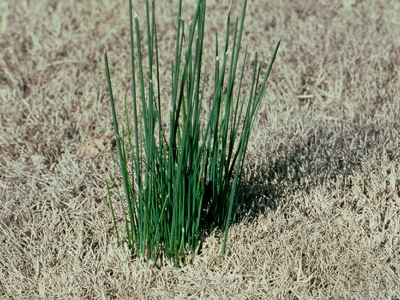 Another common springtime weed is Onion grass. 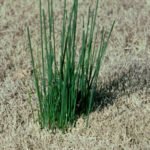 Onion grass is a perennial weed, which can survive for several years under ground. 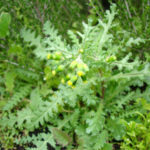 It’s a cousin to the cultivated onions that we grow in the garden and is edible as well. Regular mowing will help to stress out the leaves that appear above ground and warming temperatures will cause the bulbs below the surface to go dormant. Don’t try to remove the bulbs though. Any portion of the plant that is left underground will quickly spread. 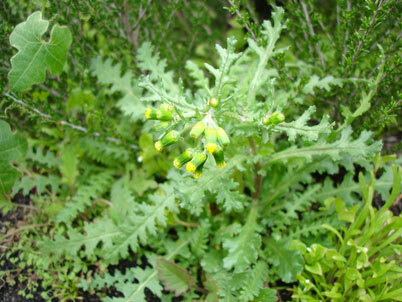 Groundsel, or Old-man-in-spring, is a member of the daisy family. It is an annual plant, which means that individual plants die off after one season. It procreates by producing thousands of seeds during its life cycle and can grow in a wide range of habitats. 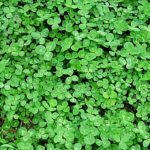 It is a relatively weak competitor as far as lawn weeds are concerned, so a healthy lawn can easily suppress its growth. 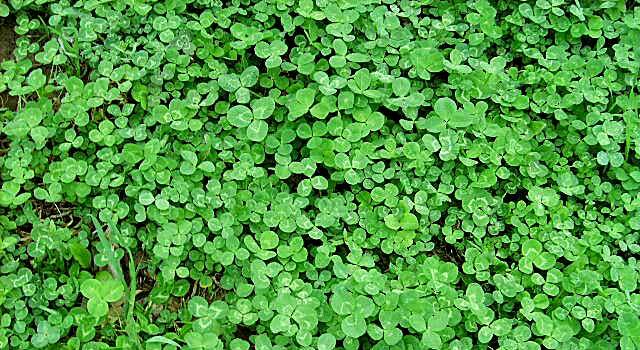 As with other spring weeds, early mowing and rising temperatures will help to stress it out. Hairy bittercress is a cool weather annual. It’s weed system is a basal rosette, which means that it’s leaves grow out in a circular pattern low to the ground. As it matures it produces upright seed capsules with tiny white flowers. It favors shaded areas as well as lawns that are mowed too short. It can be removed by hand but do it before it goes to seed. Dandelion is a perennial. It can survive in the soil for several years. In addition to growing in a basal rosette pattern, it also develops a long tap root that allows it to store nutrients through the winter and bloom again in spring. It is edible and highly nutritious. It reproduces by windblown seeds and can produce up to 15,000 seeds per plant. It thrives in lawns the are mowed too short. 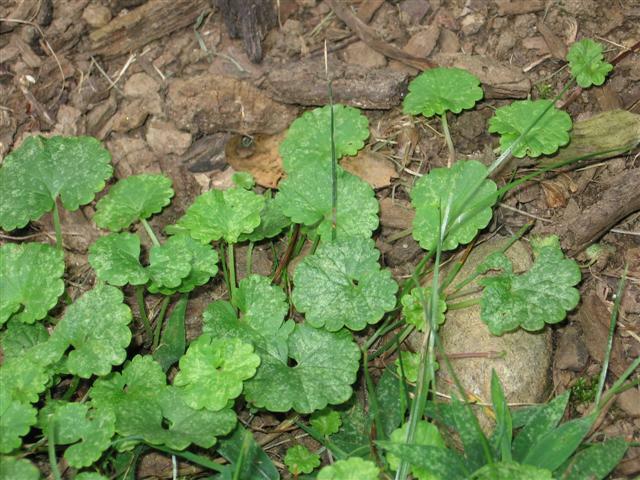 Flowering ground ivy is also known as creeping Charlie. It is a perennial that spreads with stolons, which are creeping stems that root along the ground. They root through a system of nodes that shoots out additional stems as they grow. This makes this type of plant more difficult to remove by hand. It prefers damp, shady areas but grown anywhere. This is just a sampling of the types of weeds you may see on your lawn in the early spring months. 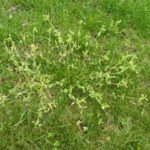 Despite their differences most of these early spring weeds can be controlled effectively by establishing a healthy lawn through proper cultural management of your lawn. We believe in treating lawns in the most environmentally responsible way possible while developing a partnership with or customers. A successful lawn depends a three-way relationship between mother nature, us and you. As always we’re here for you when you need us!